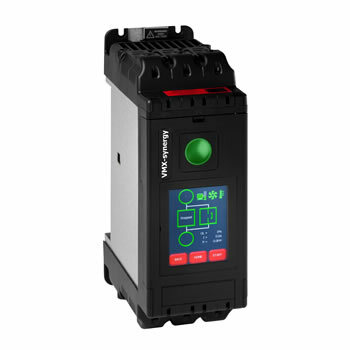 With built-in full motor overload protection as well as full data logging, field serviceable fans, upgradeable firmware and extensive input/output programmability, VMX-synergy™ meets all of the key design criteria. and onboard USB allows configurations to be upload/downloaded and emailed. Energy optimizing is combined with bypass to give energy saving in more applications. The VMX-Synergy™ will ‘tune’ itself to the load. The VMX-synergy™ comes standard with a color touch screen on all sizes. iERS is an advanced motor control technology for use in fixed speed applications. It is proven to reduce the energy consumed in a variety of industrial and commercial applications and has been implemented in every market from HVAC to Oil and Gas. In the industrial sector it is becoming increasingly important to offer technology that meets the corporate social responsibilities of companies as well as reducing the overall running costs of equipment and minimizing downtime and maintenance. iERS is a technology that matches the power consumption to the load required. It intelligently monitors and regulates energy consumption on fixed speed motors. It also monitors the voltage, current and power factor during the start to calculate the full load figures. During the running stage, the power factor continues to be monitored. When the power factor drops, the motor is lightly loaded, and there are losses inherent in the design of a motor causing excess energy to be wasted. These are known as excitation losses. iERS’s consistent monitoring automatically recognises these costly losses, and in turn reduces the voltage and current, to not only increase the part load power factor, but to reduce the energy consumption in kW and allow motor to run cooler. 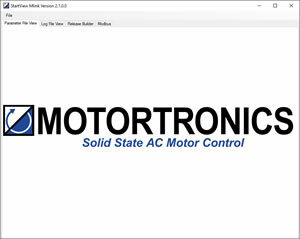 When the power factor increases, the motor is more loaded. iERS then automatically bypasses itself to remove any losses within the equipment.